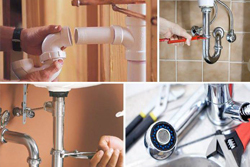 How to maintain your plumbing installation? Here are our tips for keeping a facility in good condition, clean piping and properly maintain your sanitary water equipment. Do you want to keep a plumbing installation in good condition for as long as possible? To avoid having to call a Plumber Essex County NJ because you cannot do anything for your pipes, follow our advice! There are simple steps to maintain your pipes and keep a plumbing installation in good condition. Discover our technical tips and common sense tips! What are the right things to do to maintain the plumbing? What are the tips for cleaning the piping? How to soften water too hard? Here is a small list of what can be done to make your plumbing installation last for decades. Are your pipes giving off unpleasant odors and would you like to fix them? The prevention is always more pleasant than an emergency repair, as soon as you detect the slightest leak, the slightest hose starting to deteriorate or pretending to break, contact a professional to repair if necessary or change an element of your plumbing. If you are not very handy, think twice, before playing with the pipes. Having to cut the water for a whole weekend or to have an emergency Plumbing Services NJ intervene is not always pleasant. Unless you have dry toilets, it may bother you a bit! Regularly maintain your pipes, they tend to clog. Products such as shower gels, shampoos and hair accumulate and dirty the walls of pipes. Regular maintenance, whether with dedicated products, unblocked, or even for daily maintenance, a little coffee grounds, you will avoid surprises and bad smells. All you need to do is flush the bathtub or shower with a new gesture to maintain your pipes! The quality of the water, polluted or not, limestone or not? The quality of your sanitary water is important, it is for this reason that certain devices must be put in place to keep a good quality of your drinking water. Too hard, the deposits of limestone are damaging your equipment (washing machine, dishwasher).